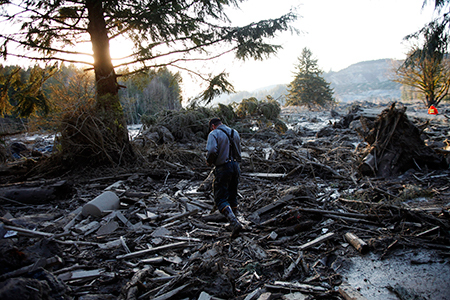 On March 22, 2014, a massive landslide engulfed the Steelhead Haven neighborhood in Oso, Washington. In seconds, the neighborhood was gone. About a dozen people were rescued from the debris; 43 others died. 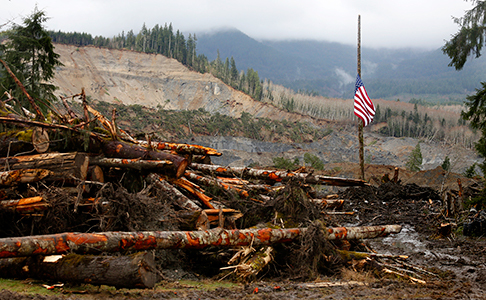 The landslide blocked State Route 530, the primary route to the town of Darrington, and the town remained cut off for months while search and recovery efforts were conducted at the scene and the highway was repaired. 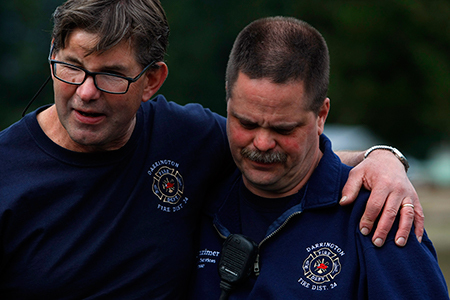 In the disaster’s aftermath, the people of Darrington played a unique and crucial role, contributing time, expertise, equipment, support, and determination to the search and recovery efforts. The Darrington Historical Society developed this collection, in conjunction with a group of graduate students from the UW iSchool, to preserve and share information and stories about the landslide, how the disaster affected the people of Darrington, and how the community came together in the aftermath. The collection includes photographs, audio, video, emergency management plans, maps, and scientific and investigative reports on the disaster. 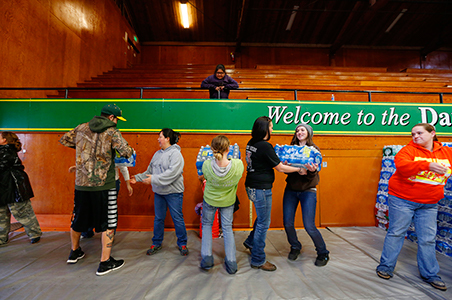 These materials have been gathered from a variety of contributors, including news media, government agencies, and community members. The historical society is actively pursuing additional materials for the collection, and hopes it will serve as a valuable resource for education, historical research, and the memory and recovery of the Darrington community.